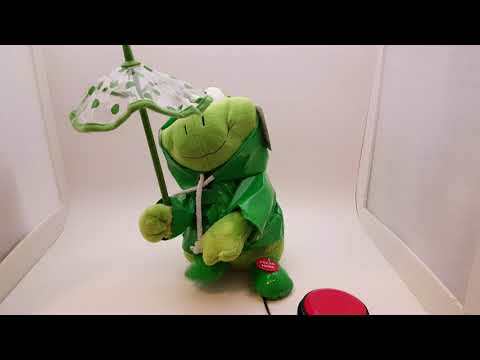 Paddy the Frog has been switch adapted to accept a standard 1/8" switch so kids with disabilities can make him dance and sing. Paddy sways and twirls his umbrella to the tune of "Singin' In The Rain". Press your switch (sold separately) or press his foot to start the music and dancing. Press your switch during the song and he stops. He starts over again when the switch is pressed again. His bright green color and the movement of the umbrella are great ways to encourage visual attention and cause and effect. Stands about 10" tall, requires 3 AA batteries (included).